If you recently enjoyed Steven Spielberg’s film adaptation of “The Adventures of Tintin” , or are simply a lover of the original comic book series  by Hergé, take note of the Pacific Film Archive’s upcoming showing of Julien Duvivier’s  movie, “The Mystery of the Eiffel Tower.”  This 1927 silent film, which inspired the lovely Tintin comics, follows a carnival worker and millionaire named Achilles Saturnine (what a name) and his fight against the evil crime syndicate, the Ku-Klux-Eiffel. The names alone prove that the film is guaranteed to be: a) dramatic and b) awesome. Seriously, if we at the Clog ever create our own plucky hero, we’re stealing the name “Saturnine Achilles” because the name enough is hard to match. The event will also host live music by Ralph Carney , who previously collaborated with talented artists such as the Black Keys  and Tom Waits . The showing will be on Saturday, Feb. 25 at 6 p.m. at the Pacific Film Archive Theater on 2575 Bancroft Way. 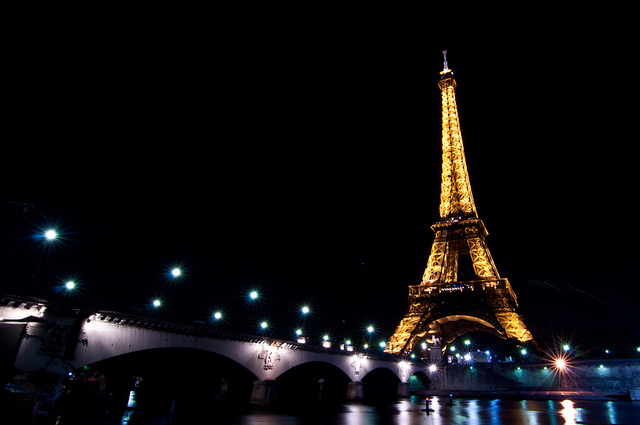 What’s better on a Saturday evening than a classy Paris adventure and excellent music? That’s right, nothing.